Free People dresses are the most comfortable, easy to wear, and stylish pieces that I’ve own to date. I turn to this brand over and over again. So much in fact that I almost want to make this URL a Free People Blog! 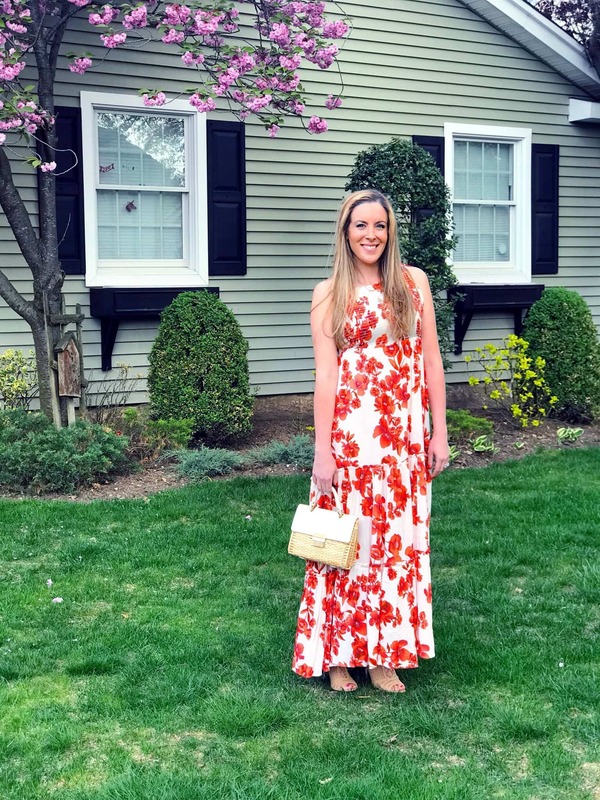 Long and flowy and perfect for the spring – I am in love with the Free People Garden Party Maxi Dress. It doesn’t hurt that it was on sale for almost half off! Don’t you love a good bargain? Yesterday, I spent some time walking around Lord and Taylor looking for a few new spring looks and ended up spending way too much time in the Free People section. It was CROWDED. I mean, you almost couldn’t make your way around the racks. I seriously think the department store needs to give the brand a little more space. Totally congested!! I know the store was having a major sale, but I don’t think that Free People was included because when I went to use my coupon, it didn’t count towards the purchase. BOO! It doesn’t matter though because I know I am going to wear this dress to DEATH. I wear so many Free People dresses that I could almost turn Lady and the Blog into a Free People blog. LOL! The Free People Garden Party Maxi Dress originally retailed for $128, but I snagged it for $75. Not bad, right?! WOOT! I know that I’m going to get a lot of wear out of this style. It’s easy and flattering and can work for almost every occasion. Change your shoes and you will change your look. In case you don’t like the colors that I chose, here are the other options this Free People Maxi Dress comes in.